Canada is a Winter country. Our ancestors did not survive without preserving food during the harvest season to last throughout the long cold months ahead. 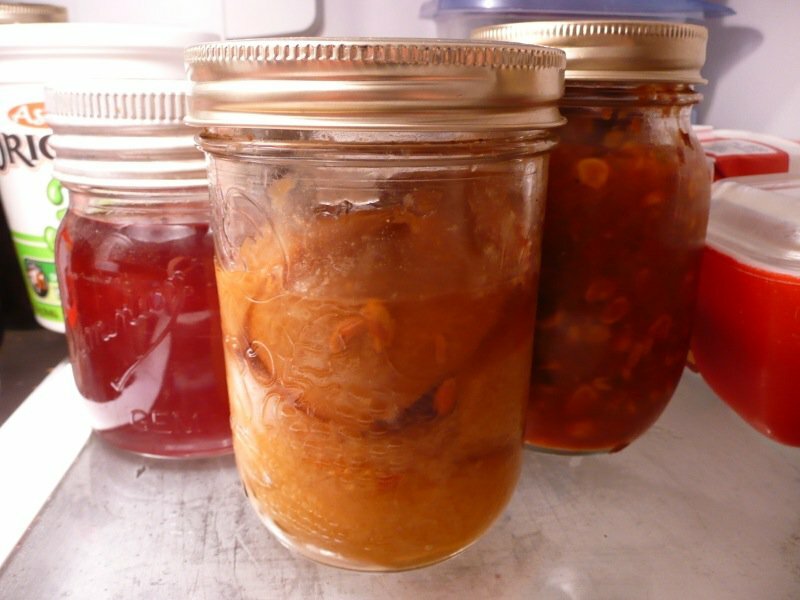 Those of us who have lived in Canada for generations have lived through the end of that time when preserving was a necessity for our survival. The memories of Grandma Maude’s root cellar are cherished. 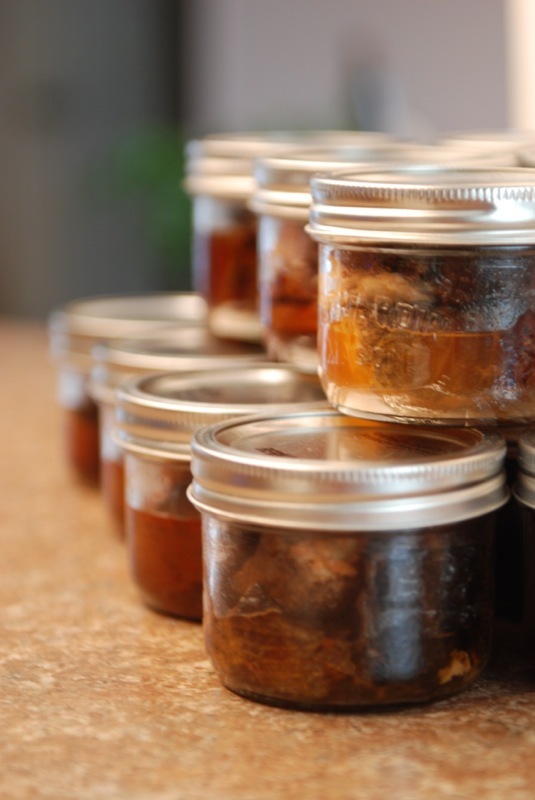 The intrinsic knowledge of one’s food culture that comes through witnessing the practice of food preservation within the family out of necessity is fundamental to understanding Canadian food culture, yet now intangible. 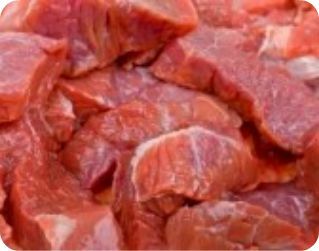 The change in my lifetime regarding the mass production and preservation of food has dramatically affected almost every aspect within our culture from heathcare to education to agriculture, politics and economics and more. Preserving this tradition draws me through the lineage of my family line. Around the tables of old. Holding the hands of those that have come before as I slather the golden apple butter of my great-grandmother Annie on a slice of thick buttered bread and tell her story to my own children. Just two or three generations away from the farm, today, many young cooks have never preserved anything while many others are delving into the new learning and finding themselves smitten. 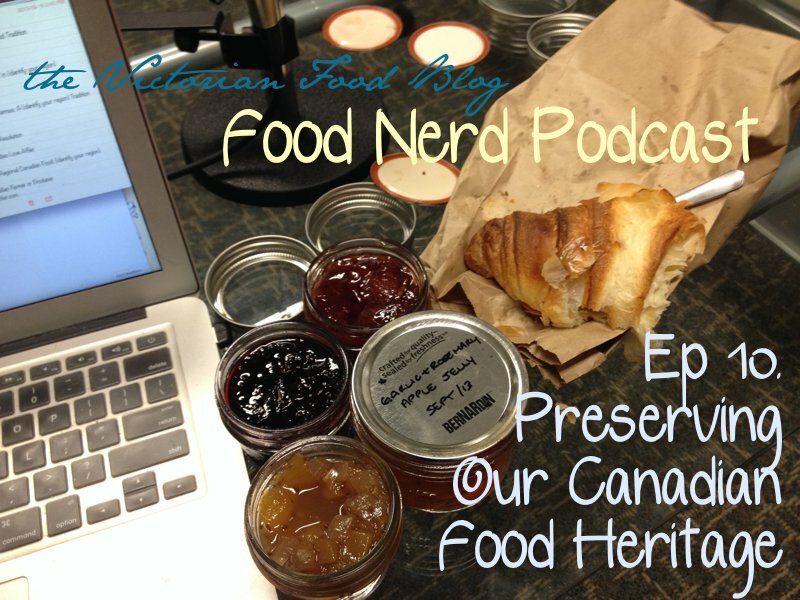 Preserving food is fundamental to our Canadian food heritage. Now, back to the gorgeous photo opening this collection of work. Barbara at My Island Bistro Kitchen from Charlottetown, Prince Edward Island, writes about local Island food and beverages, producers, and culinary events. 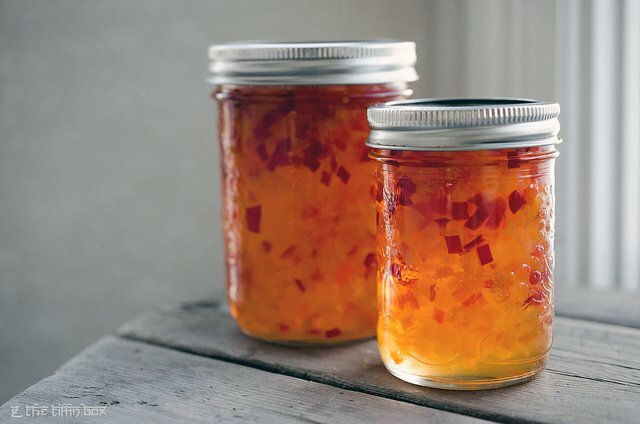 To participate in Canada’s food tradition of preserving food for The Canadian Food Experience Project this month, she shares her recipe for old-fashioned pumpkin jam. I thought I had heard of everything. Am I the first person to hear of pumpkin jam? It looks gorgeous and she now has me hooked. 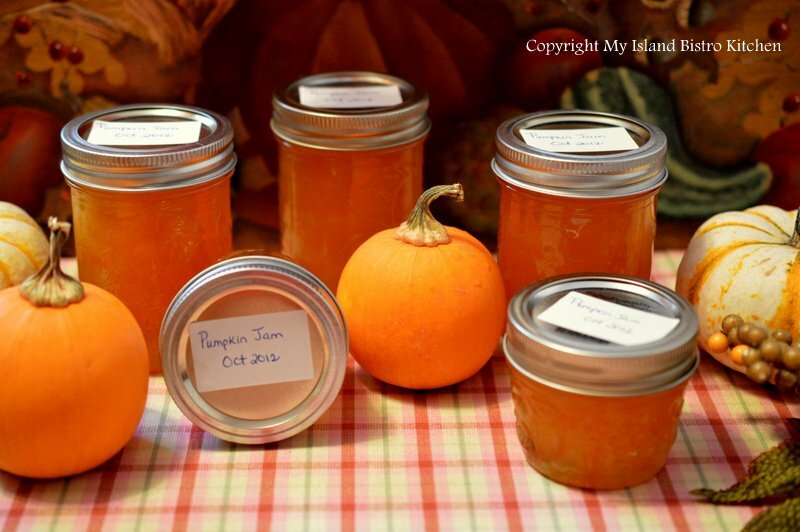 I will be working to develop a recipe for pumpkin jam this season, too! 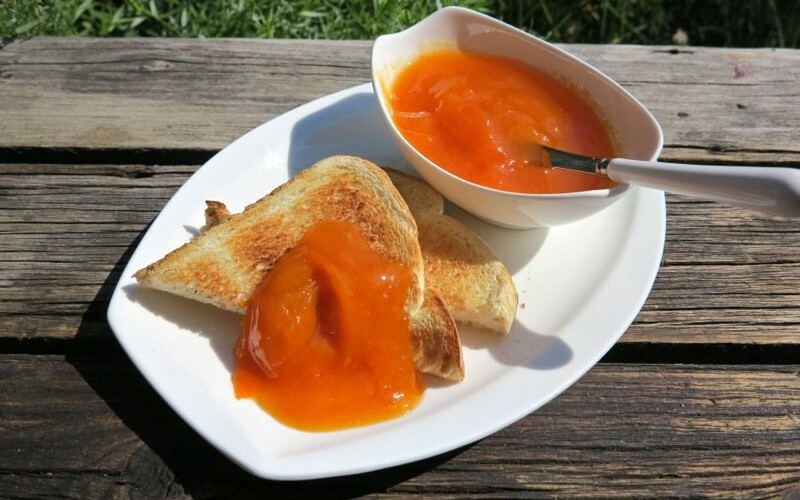 “The jam has a wonderful bright orange-yellow color. In fact, I think it is more like a marmalade than a jam. Regardless, it is very tasty on toast, biscuits, as a filling for cookies, and as a dollop on warm vanilla custard.” Mallory at Because I Like Chocolate from Calgary, Alberta, says “This was my second year participating in the art (yes, it’s definitely an art) of pickling/canning/preserving.” She makes a lot of quick-pickles throughout the year, but understands that intrinsic sense of satisfaction when cracking open a jar of homemade pickles, especially during the holidays. 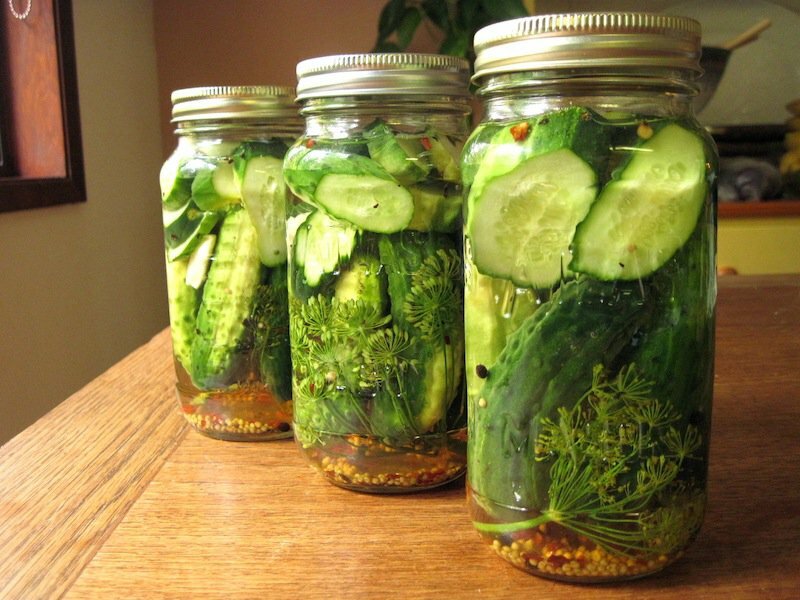 Last year, she preserved “pickle pickles”, with cucumbers, and made a couple jars of pickled carrots. 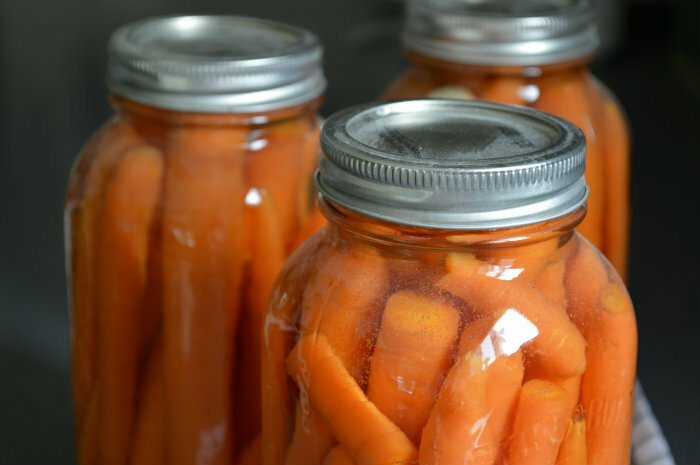 This year, it was all about the carrots and she can’t wait until Thanksgiving to share the first jar! I wrote about the fundamental influence my Grandma Maude had upon my preserving tradition and share some favourite recipes. 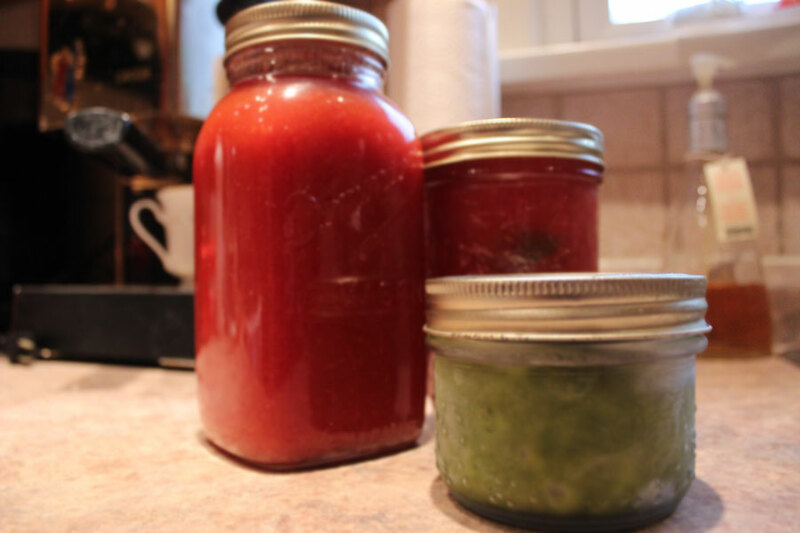 Laura Watt of Cubit’s Organic Living from Toronto, Ontario, is preserving Heirloom Tomato Sauce. 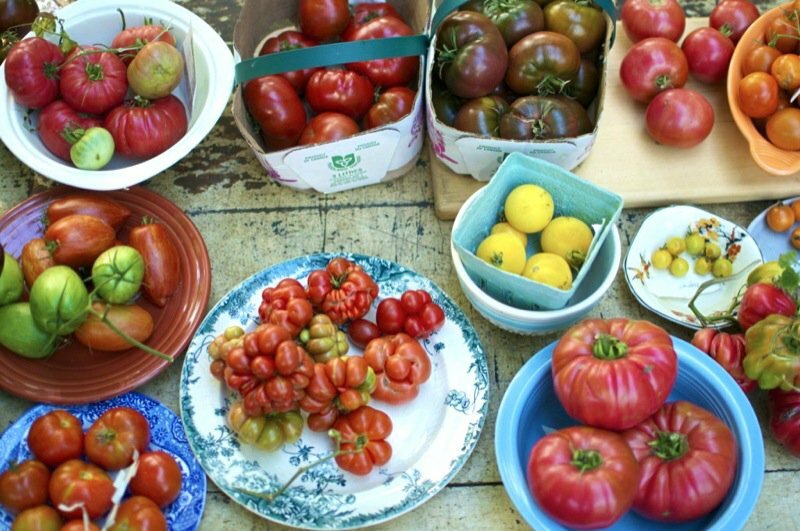 “While saving seed to preserve seed diversity, preserving summer’s tomatoes to eat this winter is satisfying work.” Visiting Laura’s site, you will be swallowed into her heirloom tomato harvest. See the photo of some of her tomatoes, below. Anyone who knows me, knows that tomatoes are my favourite food on the planet. They are so versatile and I am crazy about growing them and tasting them, and like Laura, preserving the seeds and growing a great variety as I, too, am a believer in the importance of biodiversity. (I could simply frame Laura’s photo!) Liliana from My Cookbook Addiction writes about her family’s annual tradition of canning tomato purée. This year she decided to continue this family tradition for her own family and brought her Italian heritage to the table as she preserved her family tradition with each jar. 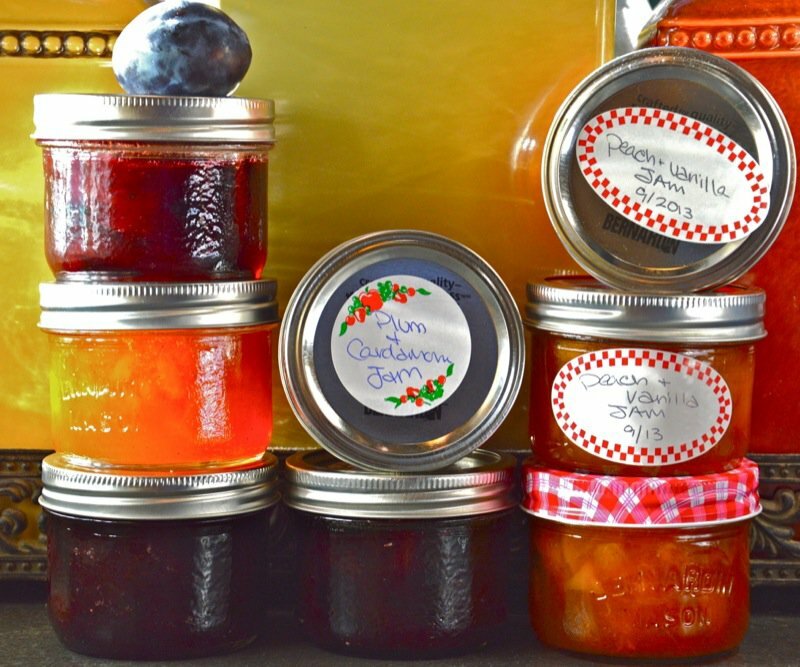 Margaret at Kitchen Frau from Stony Plain, Alberta, writes about the pleasures of canning and how she learned the craft from her mother. Growing up in a large family on a farm in Alberta, she had to help with massive canning sessions every summer and fall. 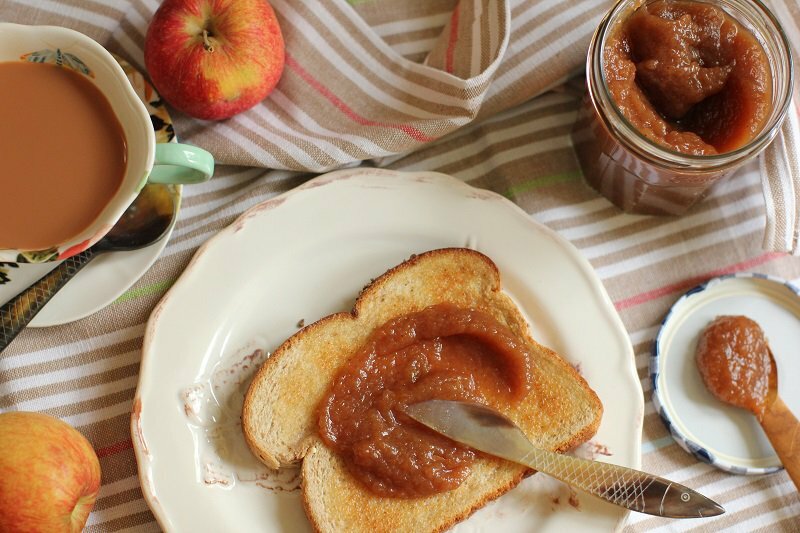 She shares her recipe for Sweet and Spicy Apple Butter made with this year’s bountiful apple crop. “Oh, what is it about that aroma of sweet apples simmering and cinnamonyy-clovey-gingery spices wafting through the air that makes us long instantly for the cocooning effects of deepest autumn and early winter?” How I can relate. I adore all four seasons and the tradition each brings. Margaret has been preserving all of her life, as well. This Canadian food tradition is thriving at her house. “Fall thrills me. 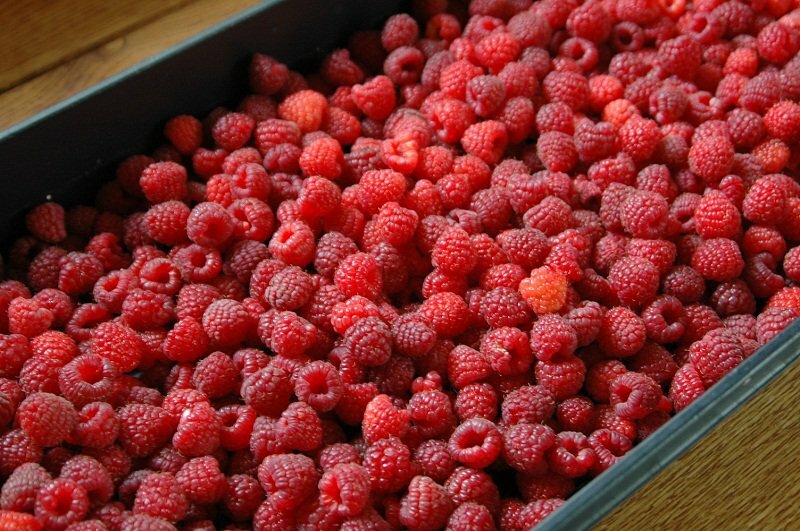 I think I must have been a squirrel in a previous life, because I get a deep satisfaction from all the harvesting and preserving. Gathering my nuts (and other edibles) for the fall makes me giddy. (No snickering, please.)”. This is a gal we can all learn from. 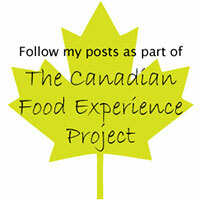 That is what The Canadian Food Experience Project is all about! 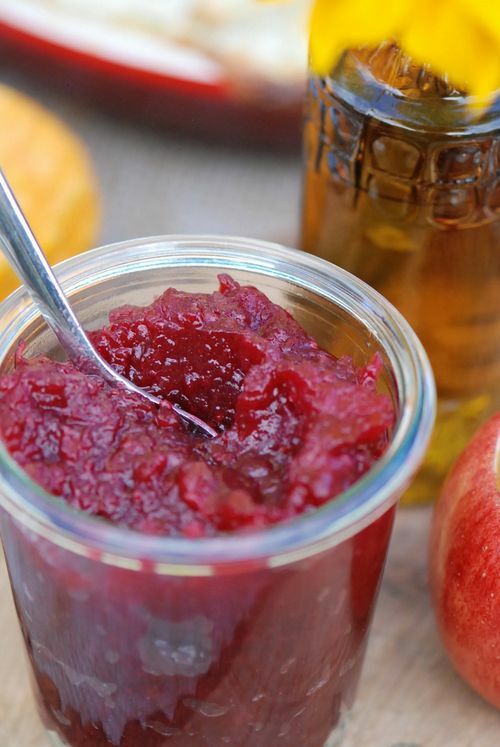 Rhonda at Olive and Ruby from Toronto, Ontario, confesses that preserving isn’t something that she does, yet she managed to come up with an incredible looking Guava Jam and you will have to pop over to her site to see how she managed to do that! 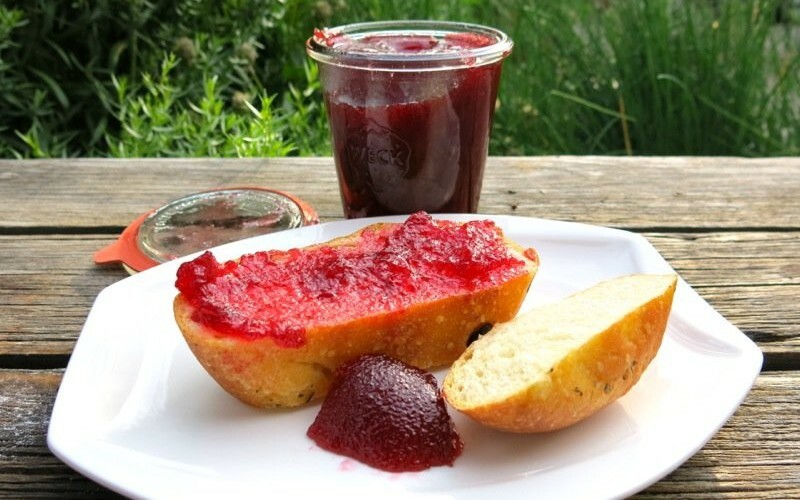 Charmian Christie at The Messy Baker in Guelph, Ontario, writes about Concord Grape Jam and how the preserving methods have changed over the years. 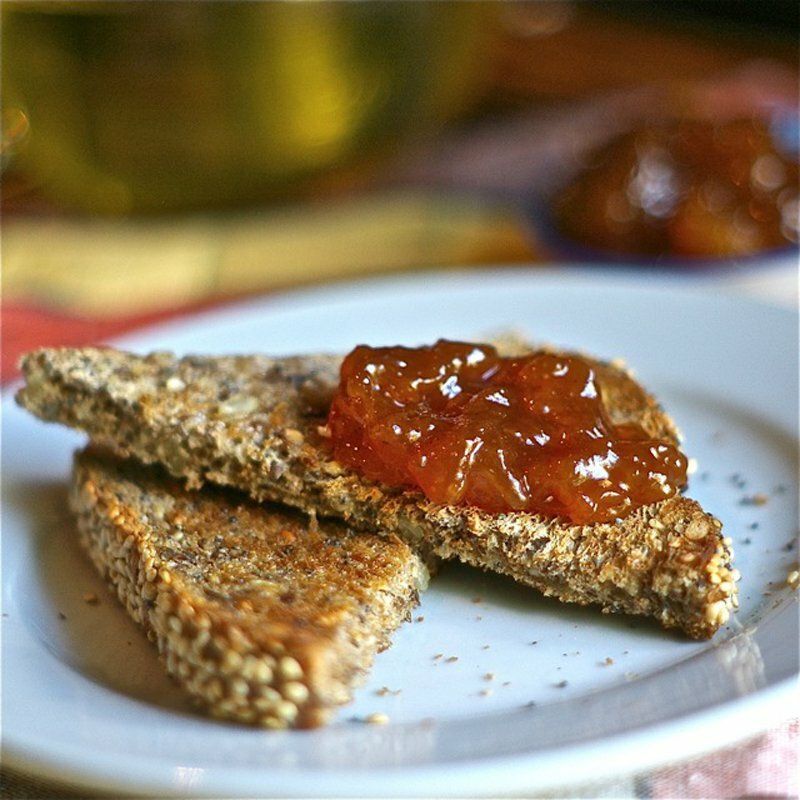 When her mother gave up jam making, Charmian carried on the tradition, but with a no-pecting version. 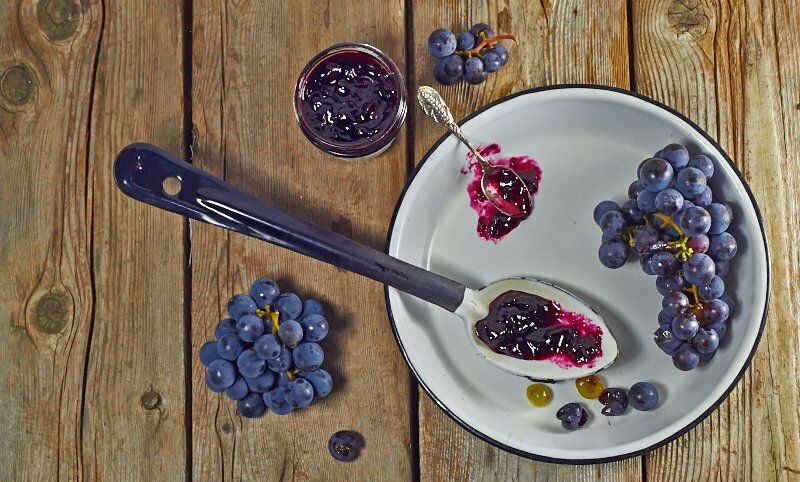 Even though she no longer seals her jams with paraffin wax and shuns Certo, the bright, tart flavour of Concord grape jam remains a perennial favourite with everyone in the family. 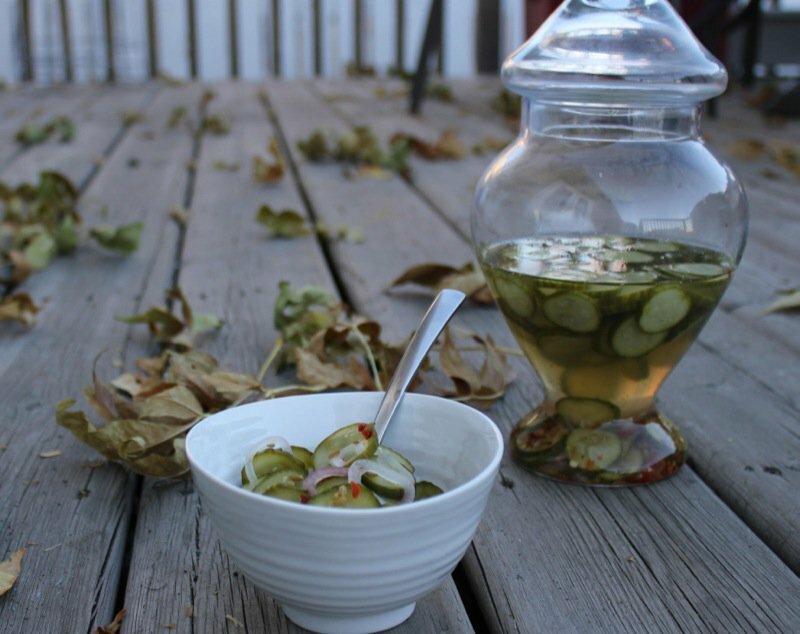 Korena at Korena in the Kitchen from Shawnigan Lake, Vancouver Island, British Columbia, has made Experimental Lacto-Fermented Dill Pickles. Korena’a strongest preserving memory from childhood is her mother making dill pickles with the dill weed growing wild in the garden. 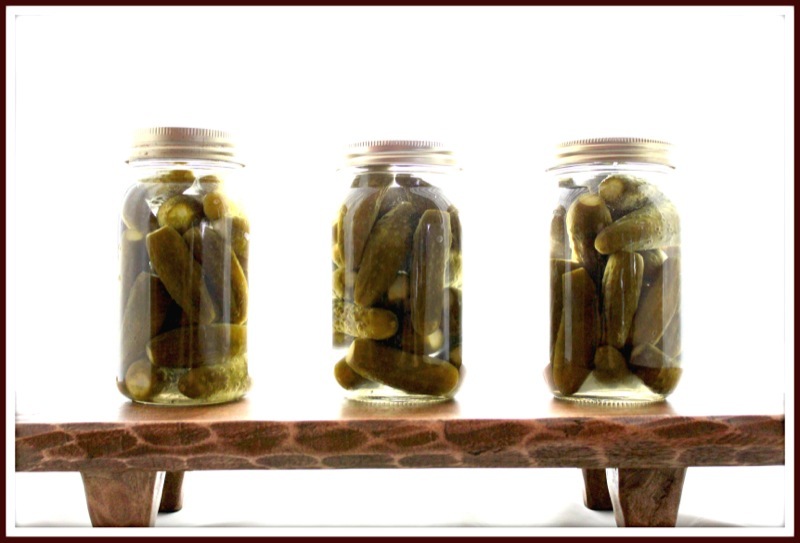 This year she made pickles for the first time using lacto-fermentation which is a preserving method that has been around even longer than water bath canning. 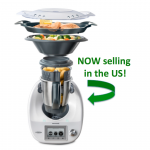 Pop on over to see how she succeeded. 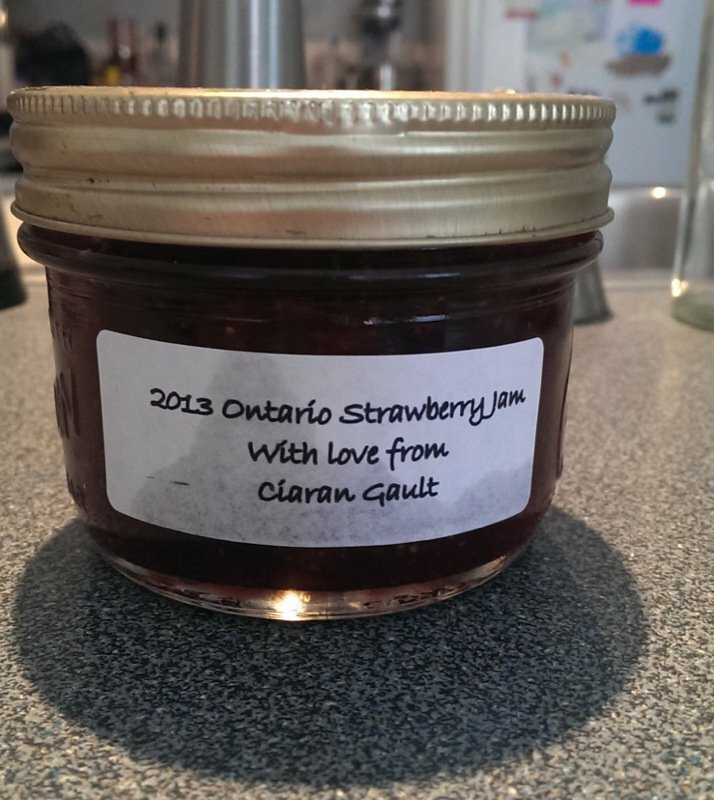 Christina at Buffy and George from Waterloo, Ontario write an Ode to Strawberry Freezer Jam. I can totally relate to this as it is our traditional family Strawberry Jam recipe, too. “My tastes may have grown up and I now create more sophisticated flavours in my jam, yet I will always remain devoted to strawberry freezer jam.” And who can improve upon perfection, I ask? 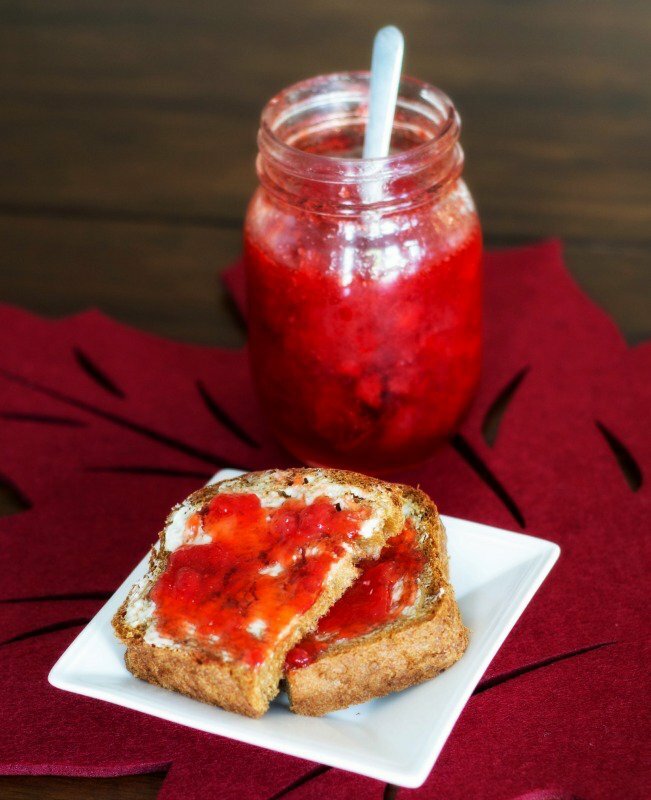 If you haven’t made Strawberry Freezer jam, you must. Dan at Dan’s Good Side from Calgary, Alberta, has just pickled a peck of puckery cranberries to add to your holiday charcuterie platter. Trust Dan to come up with something so out of the box, but so “in”. “This month’s topic was actually difficult for us! Had to think of a way to differentiate [this article] from the others on preserving and it felt like picking a favourite child! 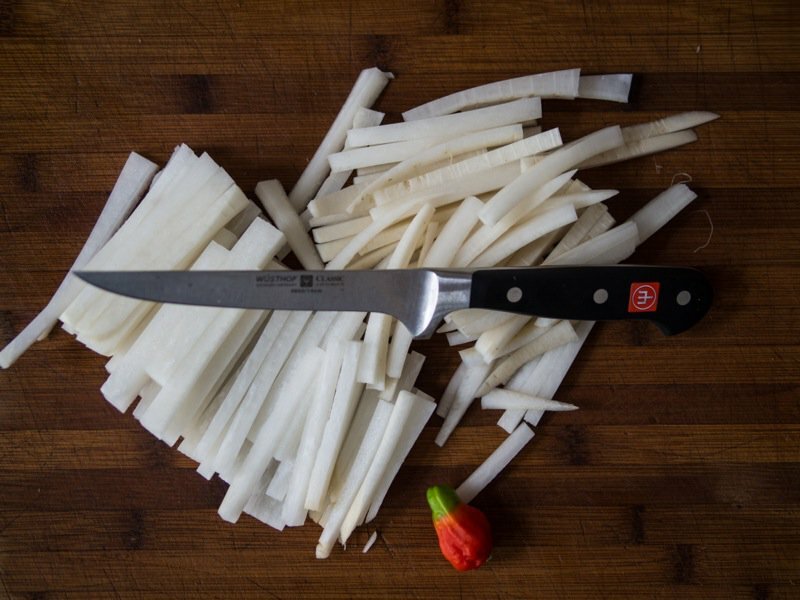 Alas, I think we found something to add to the conversation!” Joel at Well Preserved from Toronto, Ontario, fermented daikon radish. 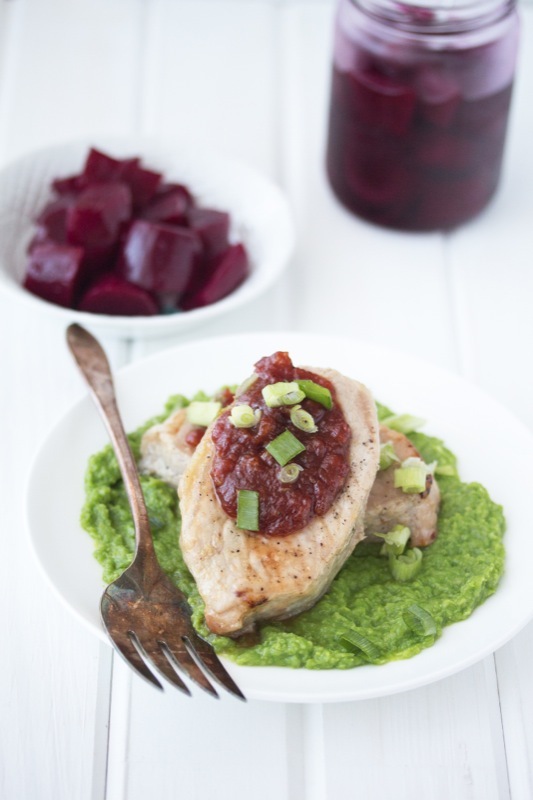 “Preserving doesn’t always need to be a time-consuming task. 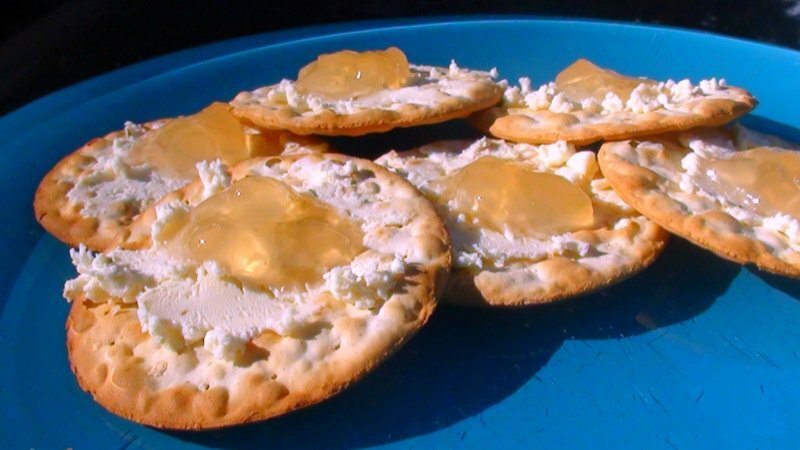 Fermenting food takes minutes to prepare and the results are tasty and nutritious.” Joel examines traditions in the context of what it is to be Canadian and exploring our cultural mosaic. Have you listened to his TEDX talk yet? You must. Really. Julie Van Rosendaal at Dinner with Julie from Calgary, Alberta also writes for Parentscanada.com and this month she has pickled crabapples as they are ” a great way to preserve the surplus of small, tart apples you may have littering your back yard – they’re delicious in salads and sandwiches, or eaten straight up!” I never thought of adding these to a sandwich. (Sometimes I wonder what has happened to my creativity.) 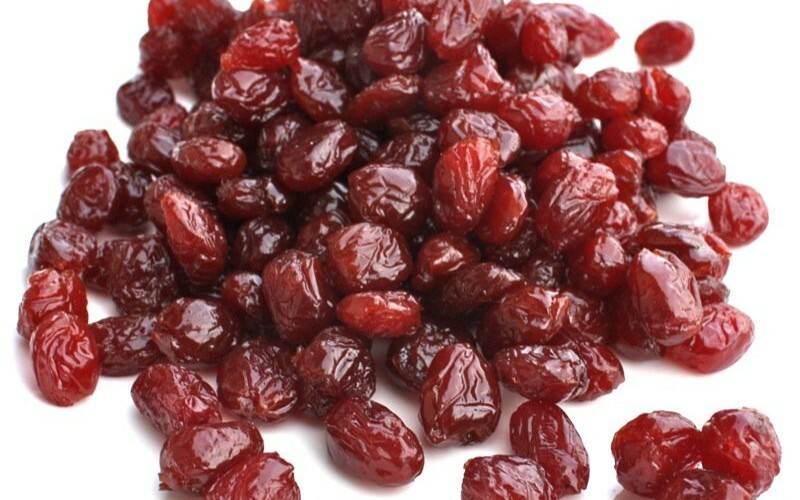 I can imagine how yummy these would be with yogurt and layered in a pulled pork sandwich without the usual sauce. Yum! 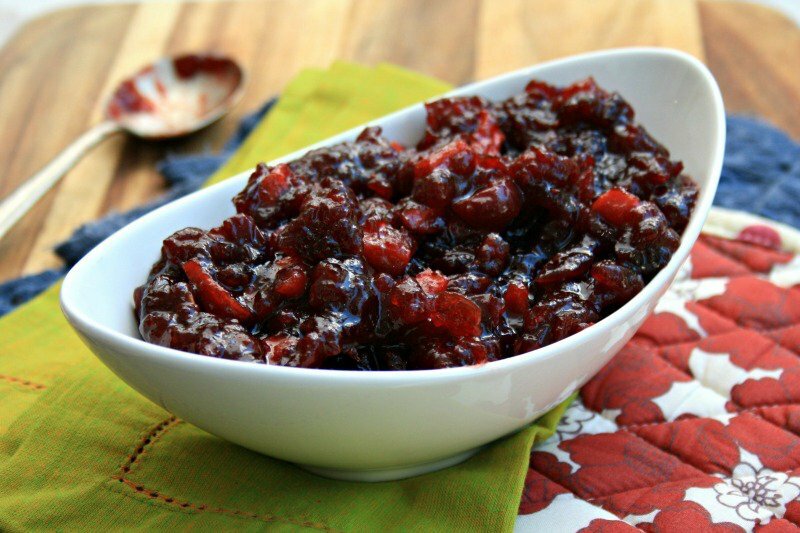 Jan at Family Bites from Toronto, Ontario has written a fun little ditty about 15 Things To Do With Leftover Cranberry Condiments! Pop over and check it out! 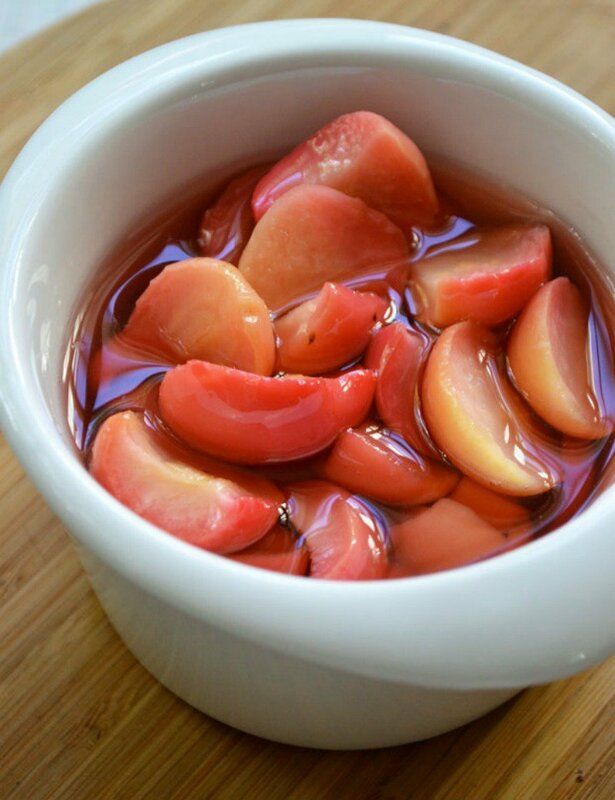 Lesli at True Sustenance from Calgary, Alberta has preserved Crabapple Jelly. This is definitely a Canadian Prairie preserving tradition. 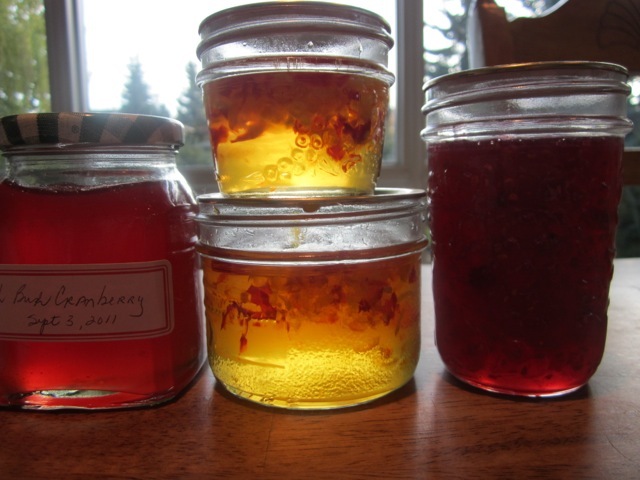 Anywhere else in Canada preserve Crabapple Jelly, or everywhere? My fridge wouldn’t be without a jar or two of crabapple jelly. Yours? Joanne at Cherry Bomb Kitchen from Renfrew, Ontario, has created the most gorgeous jar of pickles I have seen in a very long while, and she doesn’t preserve! Now we will see if she becomes converted to the practice after this incredible success. Bridget Oland at Molasses and More from Rothesay, New Brunswick, has a timely preserve to share: cranberry sauce with apples and molasses. Bridget grew up in a home where preserving is still a tradition and she is now working at her own experiences trying to emulate her mom. 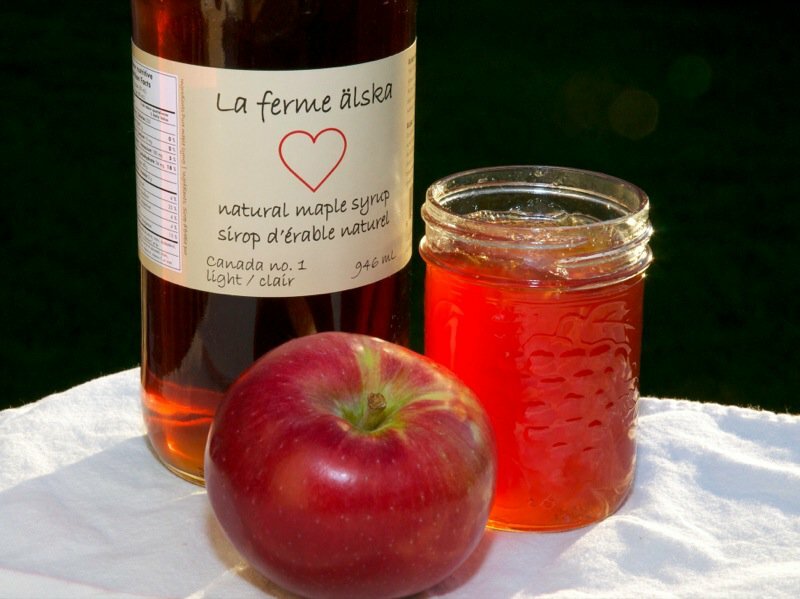 Dale at Eats Writes Shoots from Ottawa, Ontario,has taken inspiration from the apple trees of his hometown in Kelowna, British Columbia, and the maple syrup from the trees of his adopted home of Ottawa, Ontario, to create Maple-Apple Jelly. This new preserve is deeply symbolic to Dale in his desire to unite his two worlds and as part of his continued quest to define our Canadian food identity. Valerie at More Than Burnt Toast from Kelowna, British Columbia writes, “The foods available to Canada’s pioneers depended largely on what region of the country they settled in. Years ago I used to follow a more sustainable lifestyle like my own mother and her mother before her. At the end of the growing season we would spend countless hours pickling, boiling, prepping and canning fruits and vegetables for a long Canadian winter.” She adds, “There was always a side dish of spiced, candied apple rings on my neighbour’s Thanksgiving table: a traditional recipe from her Pennsylvania Dutch background, served on a relish tray, alongside sweet pickle chips and cubes of headcheese.” This is the recipe Valerie shares with us today. 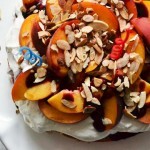 Carole at The Yum Yum Factor from Toronto, Ontario, has made peach jam. 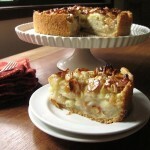 ” Although my grandmother was a fantastic cook, baker and preserver, my mother never learned how to can. 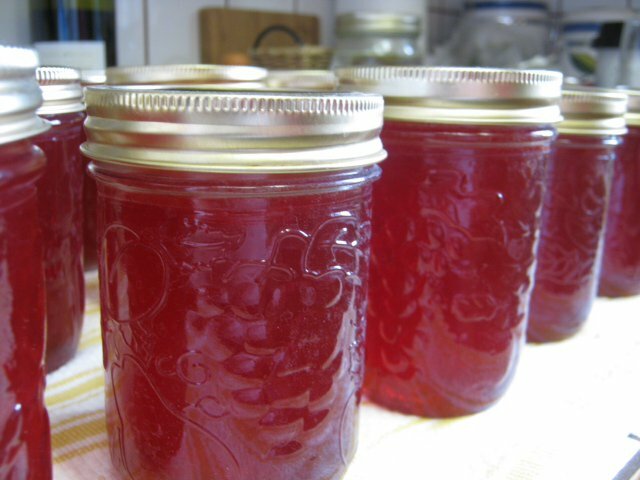 I am late to the party, only attempting my first jam in my mid forties, but I am happy to say that the canning gene skipped a generation and lives on happily with me.” And I say, “Yippee!” to that, Carole. Amy at Family Feedbag joined Jen from Victorian Food Blog both from Vancouver Island, British Columbia, collaborate for this month’s The Canadian Food Experience Project topic: Preserving our Canadian Food Heritage. 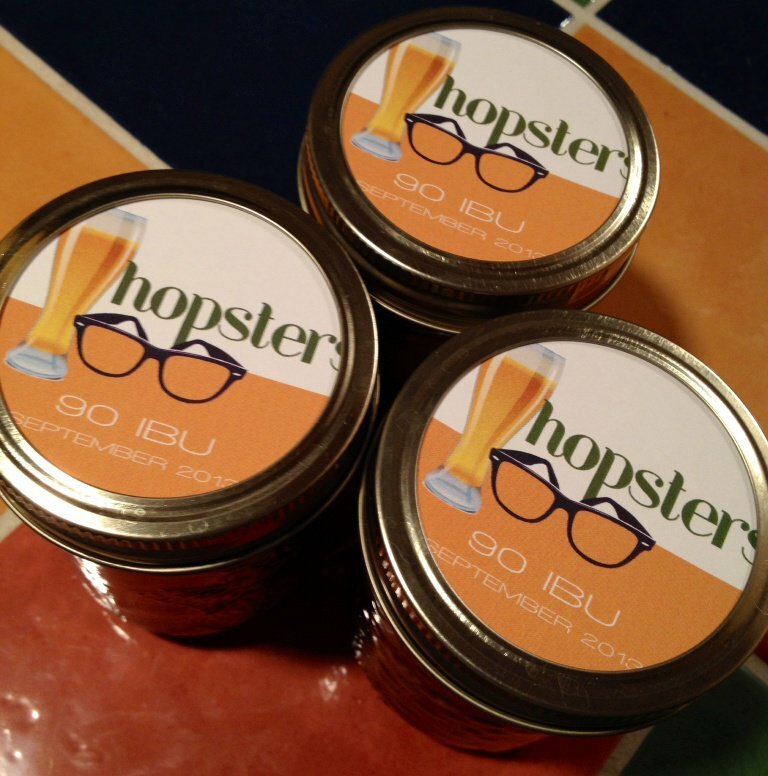 On The Food Nerd Podcast Episode 10 the two talk about the fine art of food preservation. 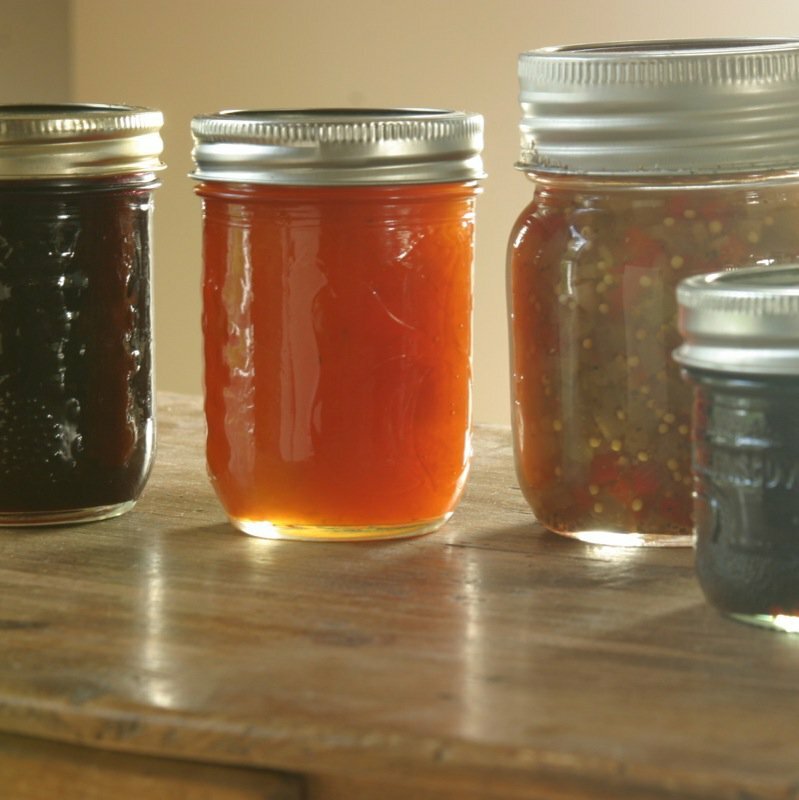 Things get deliciously nerdy as they sample some of Amy’s preserves and discuss how to become a Master Preserver, how to make your own pectin, what time of year is best for different preserves and an explanation of the safe canning process. Preserving food is always more fun done with others, and what a brilliant idea to collaborate for the project post, as well. 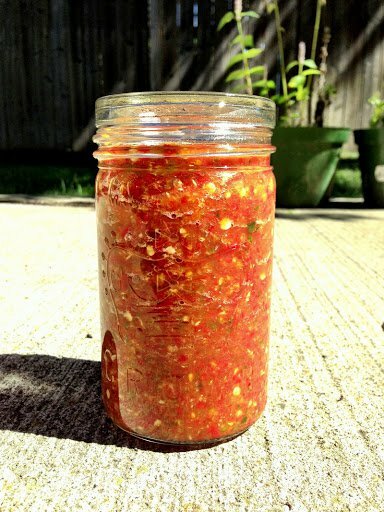 Amy writes, “I’ll chat about preserving anytime, anywhere, and with anyone. It takes strength for me to walk by a market stall of brightly coloured jams, jellies, chutneys, pickles and relishes and not stop to chat with the vendor about the joy of putting food in jars.” and this was music to my ears, as she is one of the young people that can carry on this fundamental Canadian food tradition. 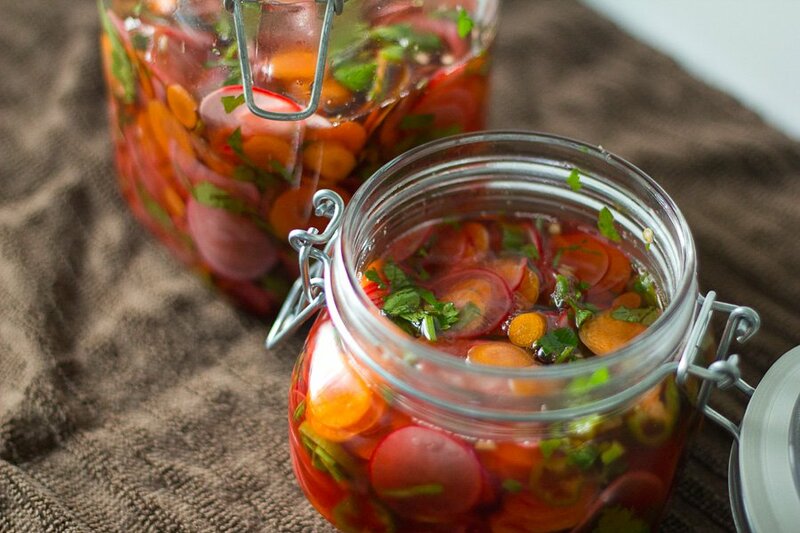 Karlynn at The Kitchen Magpie from Edmonton, Alberta, shares the classic prairie pickled beets recipe, straight from the Atco Blue Flame Kitchen archives and offers up her Top 5 Canning Safety tips when it comes to recipes you find on the web. 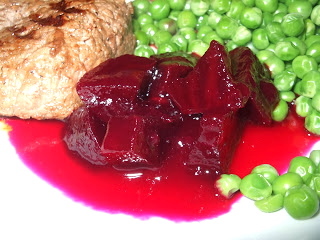 The beet recipe is a prairie favourite. Helene at La Cuisine Helene from writes about Ketchup aux Fruits and how she loved to eat it with the Traditional Pâté Chinois. For me, the learning about these traditional French Canadian dishes through The Canadian Food Experience Project is so revealing as a Canadian. I am not French Canadian, yet I have an affinity to this history and this culture, too. Having taught Canadian history for so many years in the middle school classroom, acting out episodes dramatically and examining settlement and points of view for years, it is deeply gratifying to come to know the dishes on these tables and the stories that accompany them. Jennifer at the best thing I ever ate and then some from Timmins and Guelph, Ontario has offered us photos of her mom’s gorgeous jams, above, and writes about pickled beets and other family preserving traditions. Only in Canada, I say! 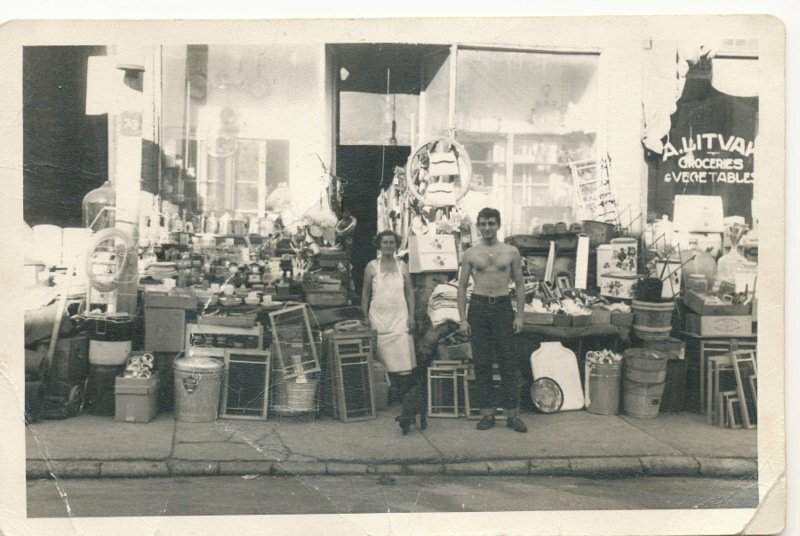 Cara at Words to Eat By from Toronto, Ontario, includes a photo of her father’s family store in the Kensington Market area of Toronto and writes a fervent plea to preserve the market. What is compelling about her article is the stories she shares of her father’s memories of Kensington Market that come alive for her when she visits it. Jessica at Jessica InsideOut from Ottawa, Ontario chose to make candy-like preserves this month. Quince candy is really like a heavy quince paste that is dried slightly and cut into candy squares. 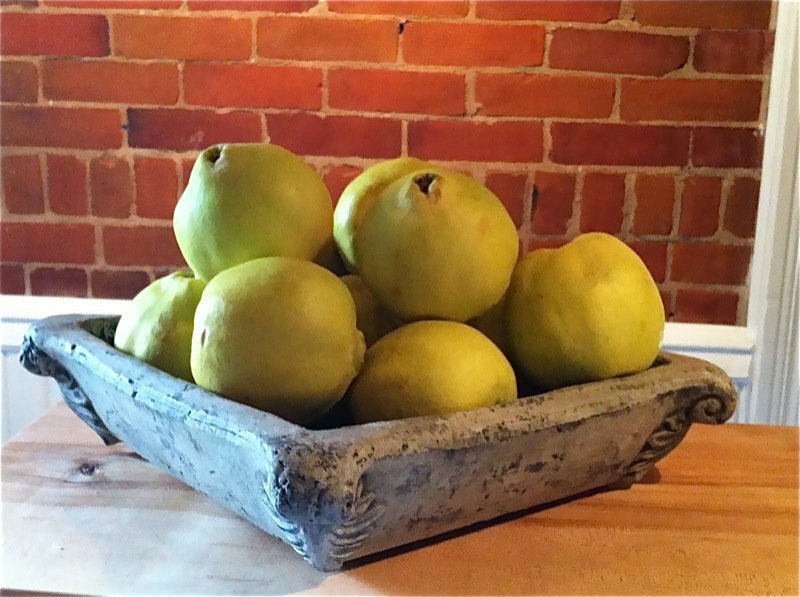 Quince are such wonderful, aromatic apples, and when cooked bring back such fond childhood memories. 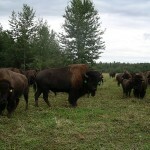 Hugh at KaizenKuzel has recently returned for a fall visit to Sudbury. 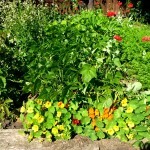 It is time to prepare for winter there: cover up his parents’ woodpile, harvest the last of the garden and generally ready the yard for winter. 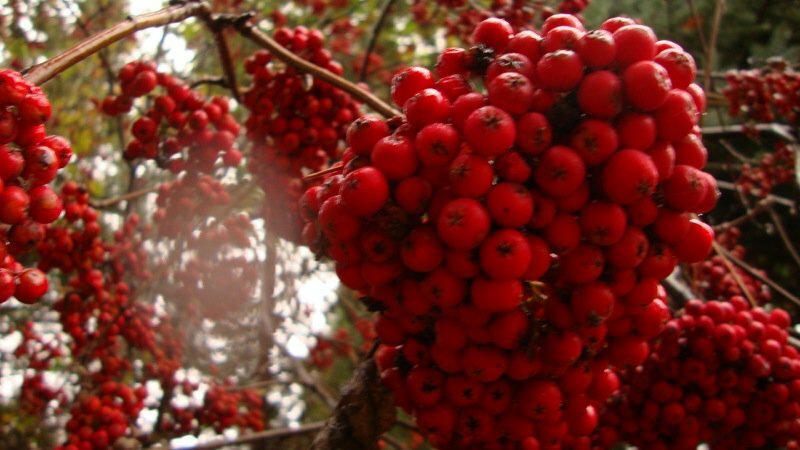 “Kale and root crops are well established, late peas linger and squashes will benefit from a hard frost.” Hugh has included a recipe for Rowan Jelly following his observations and comments on jams, pickle, and chutneys. Are you as curious as I was? Head on over! Rosemary at The Eloquent Word from Brampton, Ontario, grows a basil forest that “takes up no less than a quarter of the entire garden space [and] will be the main event in my pesto….We prepare jars upon jars of it every year because there is truly nothing like that sweet basil flavour to brighten up a dreary winter day.” Her family has a history of a tomato sauce preserving weekend and that is a recipe I am keeping my ear to the ground for, too! 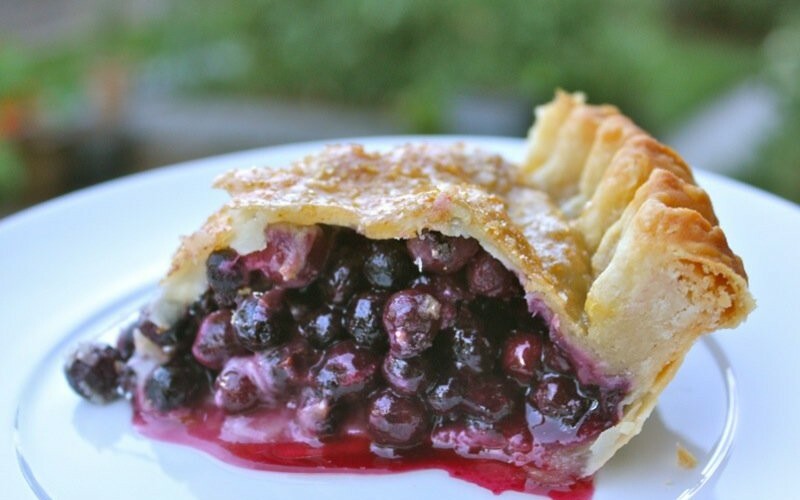 “While growing up, preserving food was a necessity in rural Manitoba in the sixties”, acknowledges Marilyn at Here and There from Calgary, Alberta, as she reminisces about vivid memories in the home country kitchen and of the harvest. “Nothing could be finer than fresh products from the garden. Concerned that preserving might be a dying art, and realizing the richness of her experience at the knee of her own mother, she taught by example with hope that this fundamental part of her family life would live on through the generations. 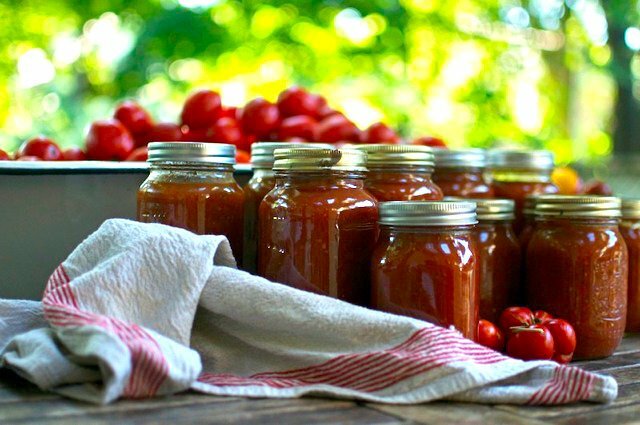 Marilyn was delighted to learn her own daughter canned tomato sauce this year after receiving a huge amount of sun-ripened fresh tomatoes. Her daughter’s joy in the finished product assured Marilyn that this is just the beginning of the next generation of preserving. 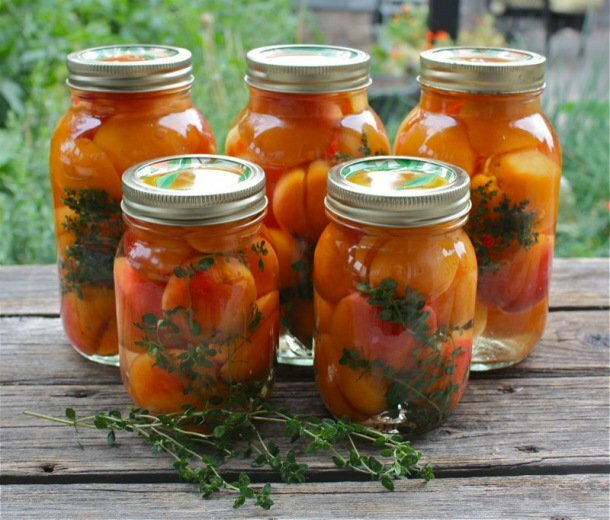 Wanda at bakersbeans from Calgary, Alberta, Calgary, Alberta writes about her memories of watching the canning, smoking and pickling process occurring on her kitchen table using the many fruits and vegetables they grew on their land. 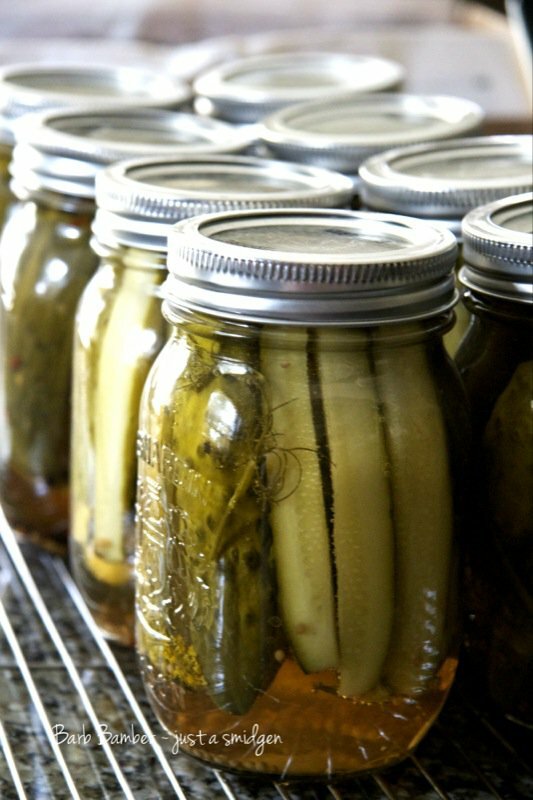 Her mother’s recipes remind her of the pickling done “back in the day”. Inspiration from this lead to the quick pickles still makes. 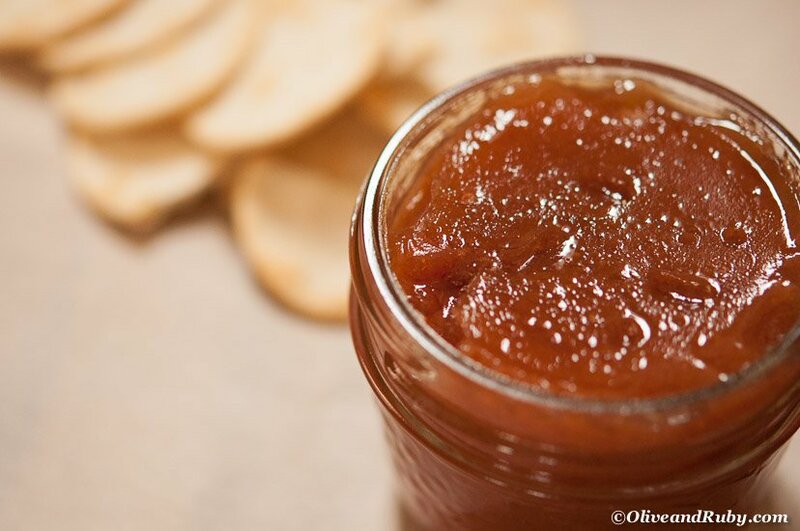 Jennifer Schell at Okanagan Cookook from Kelowna, British Columbia, writes about her family’s sustainable farm practice and shares a new favourite Okanagan Plum and Cardamom Jam recipe. Jennifer comes from a family with a long history of preserving. Best take a look. Les cretons totalement incontournables!! 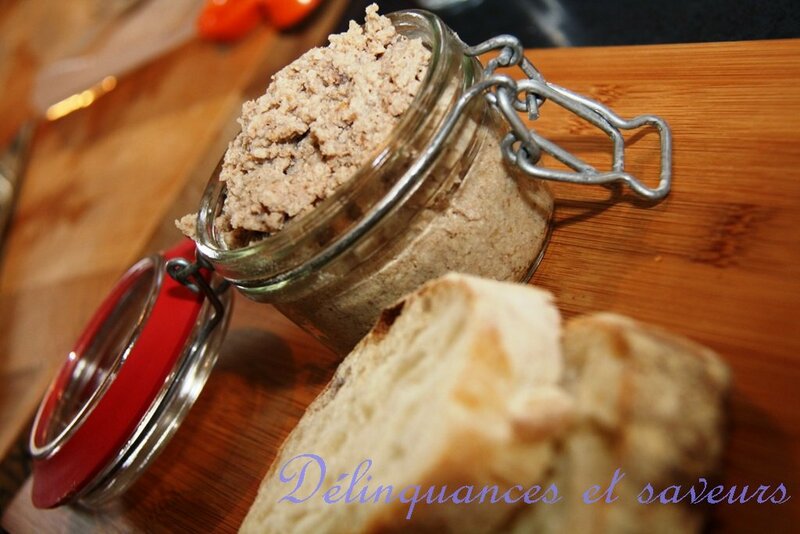 Nathalie at Délinquances et Saveurs from Shefford, Québec, écrit sur un âge vieille recette traditionnelle de sa région. Mimi from Ajax, Ontario at her blog Tummy Grumbles at http://grumbleoftheday.blogspot.com in her post entitled “October 7, 2013: Preserving: Our Canadian Food Tradition or How I Learned to Stop Fretting and Love the Jam” writes about her love/hate relationship with preserves (it has a happy ending!). 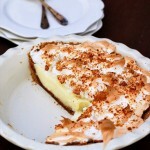 Sarah at Delish in a Dish from Victoria, British Columbia, writes about her one of new favourite things to preserve: lemons. They bring an awesome pop of flavour to any dish and are particularly perfect in Moroccan cuisine. 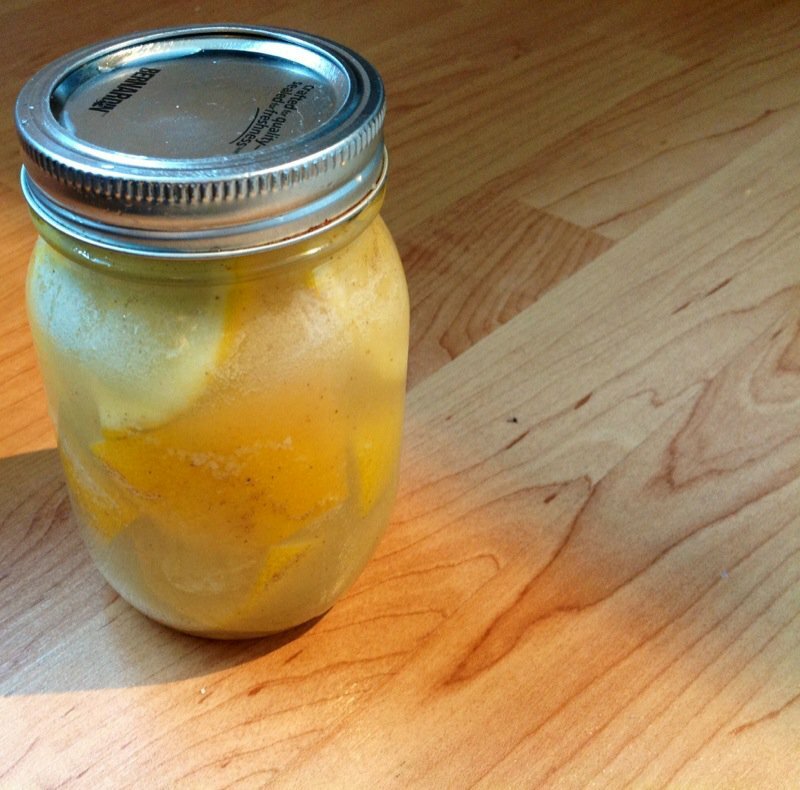 Lemons are not grown in Canada, though you will find that Amy Jo has also found some that are, and preserved them as well, this month. 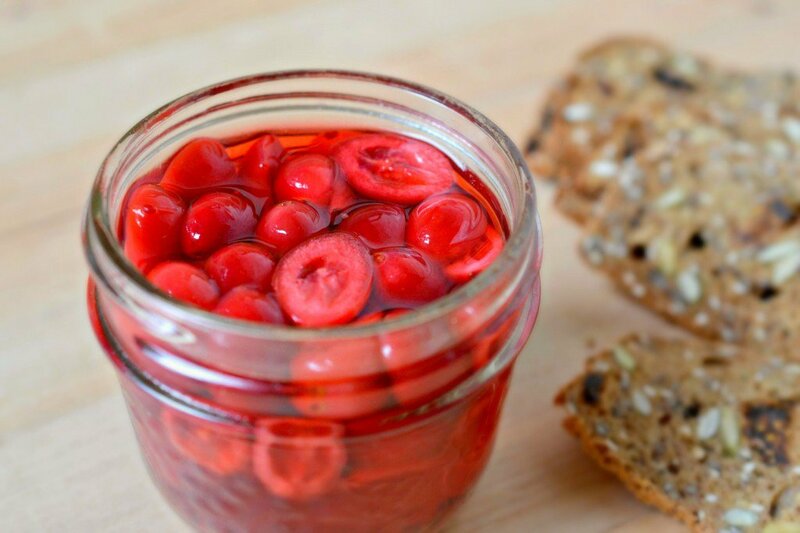 Sarah has taken our history of preserving and the technique that she has learned from it to preserve an important imported food to add to her kitchen pantry. 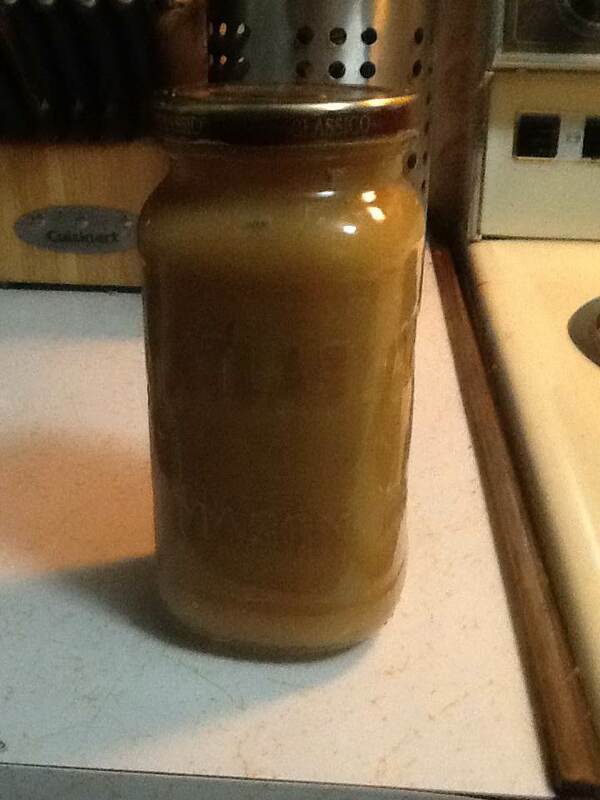 Nathan at The Localize Project Blog from Edmonton, Alberta, has made his very first apple butter, ever. Nathan was at Salt Spring Island for their annual Apple Festival this year where he visited local apple orchards and ate a lot of apple pie. While looking for alternatives to apple based baked goods an island local recommended apple butter and gave Nathan their family recipe which he is sharing with all of us. 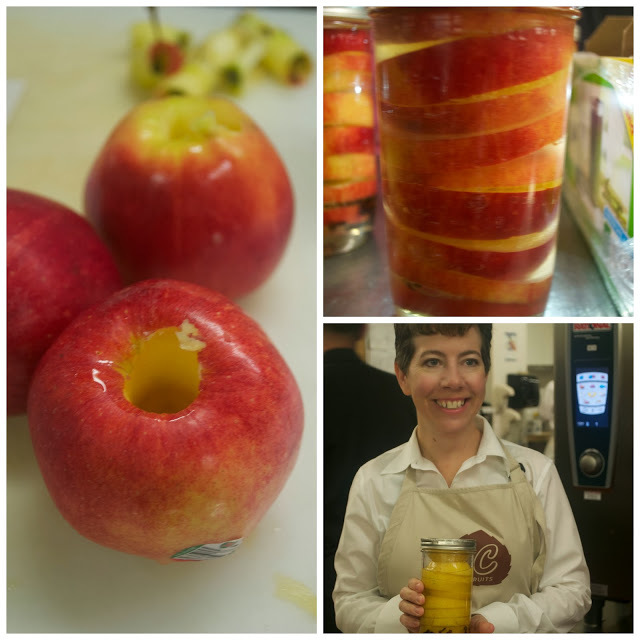 Christine at Manning Canning from Scarborough, Ontario couldn’t wait for the preserving challenge! This recipe for simple raspberry jam has been passed down 3 generations and she is thrilled to share it with you. 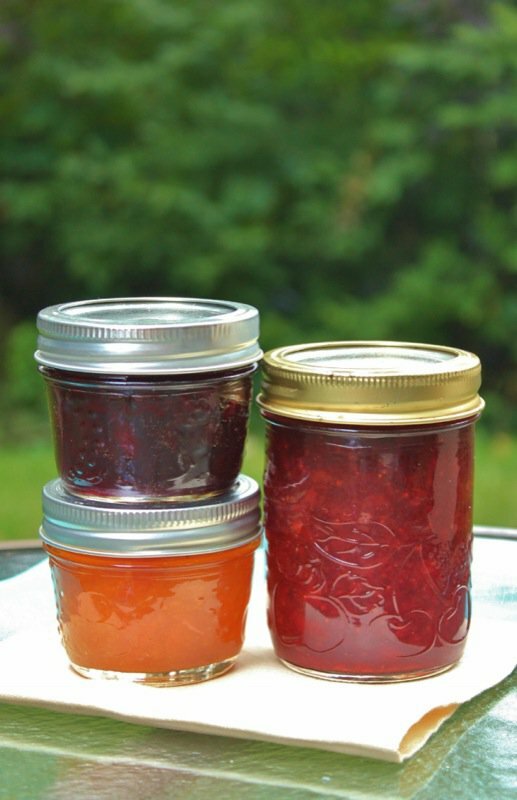 Hopefully it will break down your preserving barriers and have you making your own jam every year. This is, after all, what Christine does, over at Manning Canning. Gisèle au Dans les casseroles de GG avec Nouveau-Brunswick écrit dans le carde du projet de l`Expérience Culinaire Canadienne voici ma publication d`octobre pour ” Conserves: Une tradition de la cuisine canadienne”. Les conserves de betteraves sont mes préférées. Ici une vieille recette de famille qui m`a été transmise par ma tante .Depuis que je suis adultes je les fais presque chaques années. Un peu différente de ce qu`on voit habituellement puisque la betterave se conserve dans une sauce. 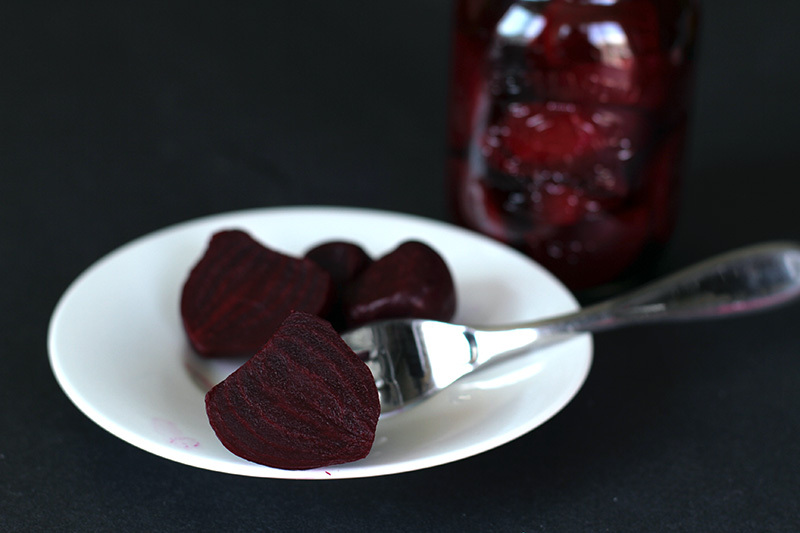 Gisèle at Dans les casseroles de GG from New Brunswick writes about canned beets as they are her favorite. 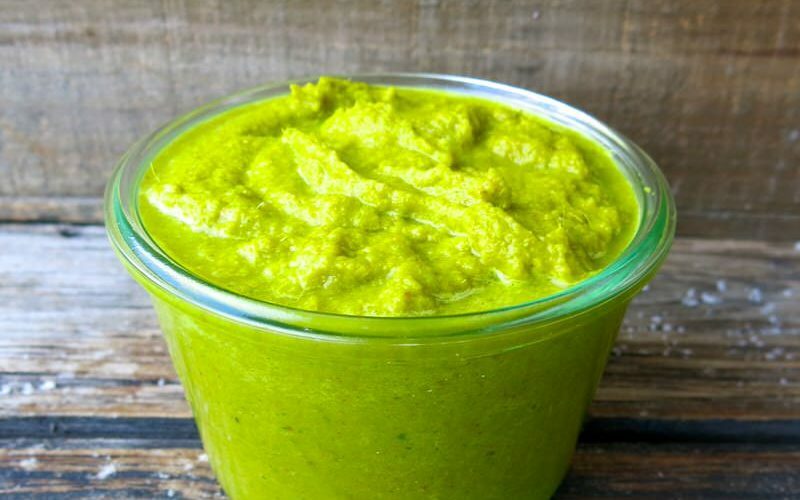 She shares with us an old family recipe sent by her aunt and she has made these almost every year of her adult life and loves the sauce as it makes all the difference to this recipe. Jacquie at Parkallen Home Kitchen from Edmonton, Alberta, has just joined us before Challenge six and is back tracking. Lucky us! Thrilled to have this young local gal join our project, particularly as I see she has made some Pommeau, which I have made every year since returning from Normandy in 1995. 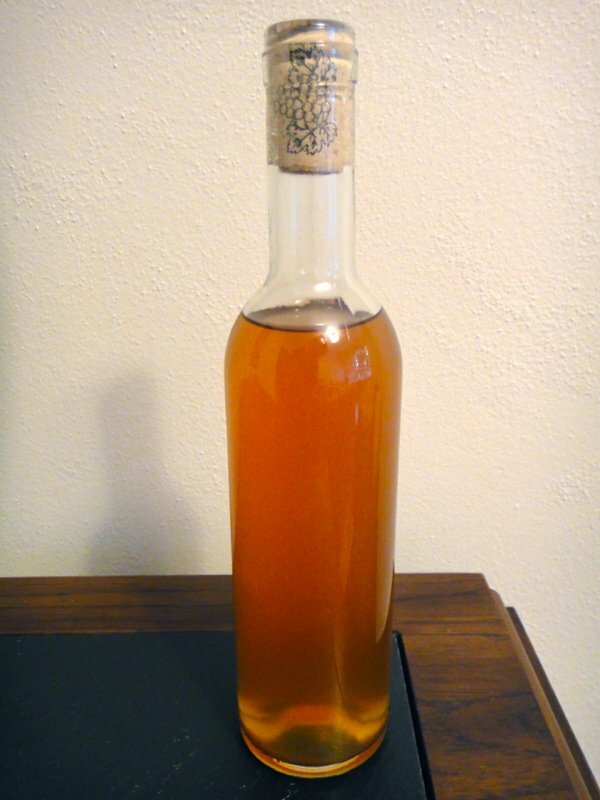 My recipe is different than hers, as she writes, “It is a wonderful drink made from fresh pressed apple juice and Calvados. It’s the perfect compliment to the harvest season.” Well, that is motivation for a tasting session to compare recipes, me thinks! Love tastings. We have 90 participants in the project to date. Some did not participate in this challenge, but 48 did. If you are interested in participating, wonderful. Participants are asked to complete 9 of the 12 challenges. Ones that are missed can be completed anytime within the year, and will be added to the specific round up. As always an amazing collection of pictures and wrap up on the theme! Thanks Valerie! Wonderful as always Valerie. 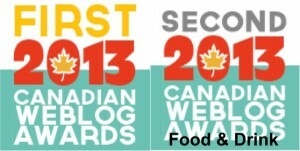 Thank you so much for compiling this treasure trove of great Canadian recipes. Wow, wow, wow! 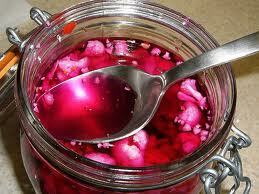 Please Valerie, when I come to visit you someday, can we do some preserving!? There is a great deal of Canadian history and tradition in this post. Isn’t that ever so true, Valerie? I just love reading all these stories! Wow so many great recipes to choose from this round-up!